How to turn on lights at sunset. 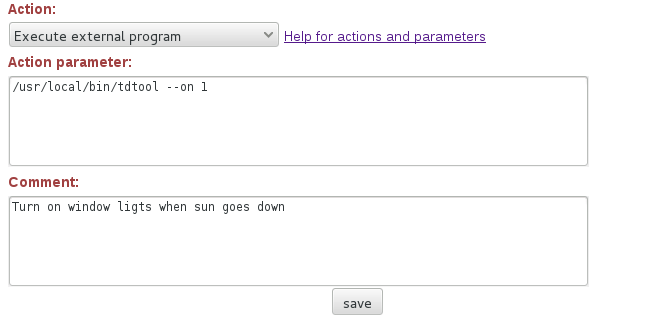 How to turn off the lights at a specified time (either sunset + x hrs, or for example at YY:ZZ). How to turn on at a certain time. How to turn off at sunrise. So the easiest way to demonstrate this capability of the VSCP daemon is to show the setup I have here in our house for this. Oh well part of it of course, we should not go to far away from the topic. Yes I use VSCP based devices for some things here in the house but just as the shoemakers children have holes in there shoes I am often stuck at fixing things for others before I can do something for myself. So here it is a lot of my setups are test setups that are replaced by other test setups that are replaced by even other test setups etc in a never ending story. Its the just the way it is for makers I guess. But some things I use here at least and that is I schedule the lamps in the house so they turn on at sunset and turn off at sunrise and some other things. So the questions above is easily by explaining my own setup. Well you all recognize them. Low cost single way communication modules working over 433 MHz. Reliable enough for lights IMO. 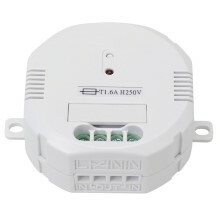 But they could of course equally well have been Z-Wave, KNX, X10 or some other solution. The CAN4VSCP Roma module will control these things and it sits on my desk at the moment working pretty well. It will be available in the store also one day I hope. 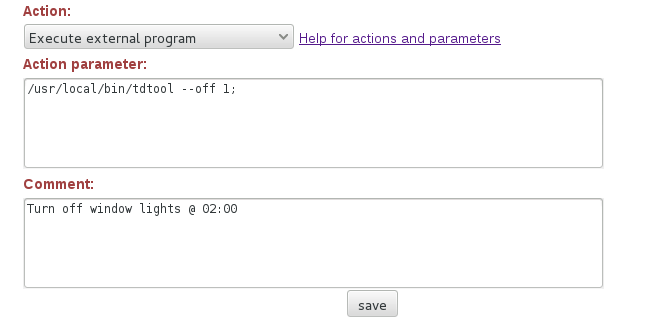 Well this solution just let me execute a binary on a Linux machine to turn on/off a group of lamps. There are similar devices available for all other vertical solutions. 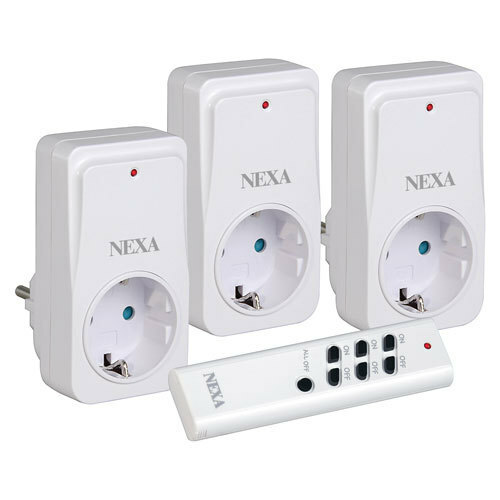 So to control KNX units with the VSCP daemon find an executable that can do that and the same for Z-Wave (OpenZwave) or whatever solution you want to integrate. Or write your own script or executable that does it. It is usually not a big deal. 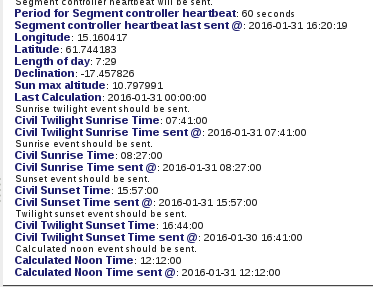 Sent when astronomical sunset happens at the location set by the coordinates. You have to enable the events also if they are disabled in the configuration file. We see that today when this is written the sunset is at 15:57 and the sunset twilight is at 16:44 two times one can use to turn on lights because it’s getting dark outside. For indoor light I use sunset and for outdoor light I use twilight sunset for this. It all of course depends on how dark one want it to be before lights are turned on. Priority has flags set to zero so we don’t care about it. Class is set to 20 which is CLASS1.INFORMATION and corresponding flags are set to 0xFFFF meaning all bits should be checked. Type is set to 45 which is Sunset and corresponding flags are set to 0xFFFF meaning all bits should be checked. GUID has mask all set to zero so we don’t check it. 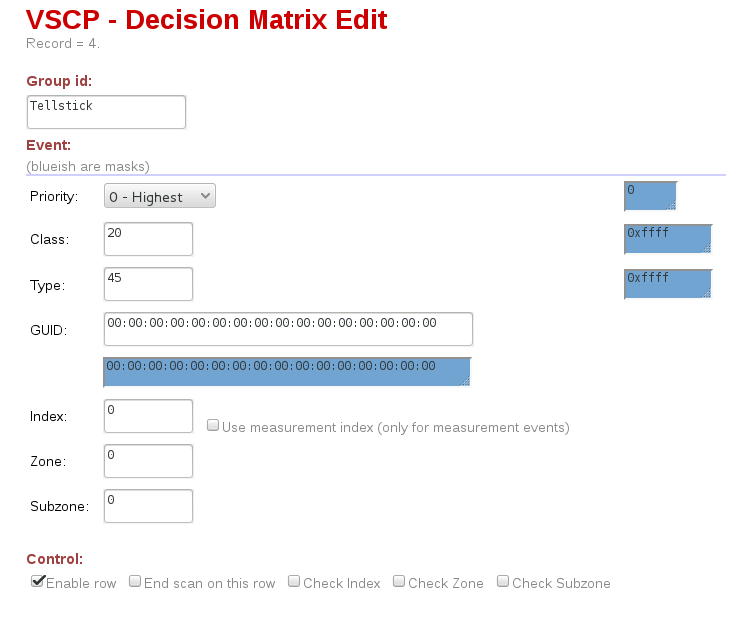 On control we see that we don’t check index/zone/subzone but that we enable this row. So at this point we say that events of type CLASS1.INFORMATION, Type=45, Sunset will perform what ever action we choose. In the “when-section” we select when the action should happen. Her from the beginning of time to the the end of time and all weekdays and all times. As you see it is possible to have different schemas for different weekdays and for different time of year. And then we have the action to perform. In my case I execute an external file and turn on lamps in section 1. But there are many actions to choose from and Send Event is one. Typically used in his case to send to a group of Paris modules to instruct them to switch some relays on. You can have many rows that trigger on the same event and therefore easily mix technology and control KNX, Z-wave, VSCP and other alongside each other. To turn off lights at sunrise just trigger on CLASS1.INFORMATION, Type=44, Sunrise or CLASS1.INFORMATION, Type=52, sunrise twilight time. The rest is the same as the above case. Priority is not used and therefore it’s corresponding flags are set to zero. Class is set t 65535 which is CLASS2.VSCP. The corresponding flags are set to all ones or 0xffff. Type is set to 6 and that means we will trigger on CLASS2.VSCP, Type=6, Minute events. This event is feed through the matrix every minute. The corresponding flags are set to all ones or 0xffff. says the action will be triggered on every date. If we want a specific thing to happen just on x-as eve we enter that here. that is on several times ten second apart. A way to enter this without having a new DM row for each. This is possible on all fields in allowed time. So it is easy to do things at certain days of the month etc. For the curious I did this so lights definitely will be turned off as I had some interference with the radio signal some times. And then again we have the action which in this case turn off section 1 instead of on. And yes turning on something at a certain time is just the same but with another action and also here one can send events or do other things. Time time is a resource that is limited. When I did the DM of the VSCP daemon a long time ago an external nice and user friendly interface to edit it was planed. Not the web based interface that is available to day which is targeting a technical user. Actually editing is possible remotely also today so it is only the UX code missing. That will probably come in place one day. 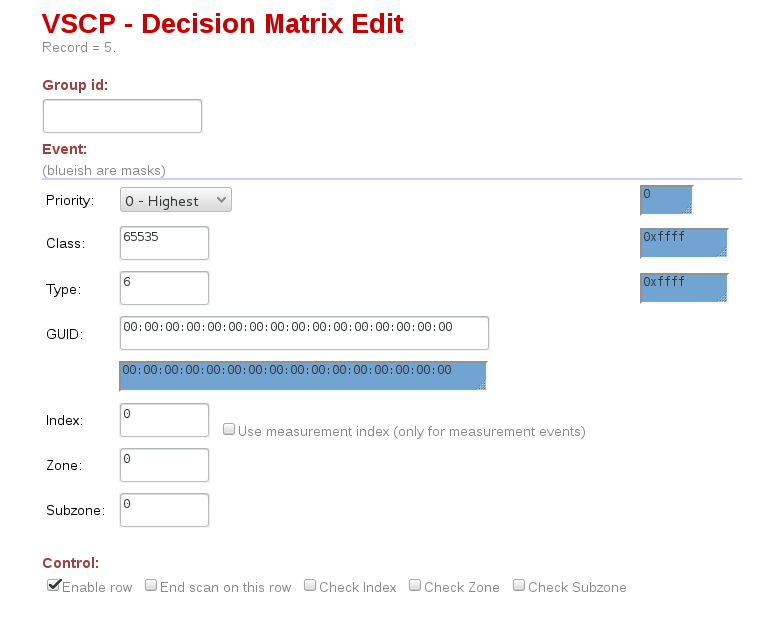 Giving this functionality the attention and usability it deserves. An even more exciting feature that will come to this functionality, probably in the next release, is scripting right inside the VSCP daemon. That will make this an extremely cool cat. Hopefully this gave some lights of the magic’s of the VSCP daemon DM.